When your cruise ship docks at Haifa Port, combine a tour of Jerusalem with a visit to the Dead Sea on a full-day shore excursion! Alongside a private guide, visit the Mount of Olives and then explore Jerusalem's sacred Old City by foot, checking out the Western Wall, Via Dolorosa and more. In the afternoon, travel through the barren wilderness of the Judean Desert to the Dead Sea, and then bathe or float in the buoyant sea at leisure. 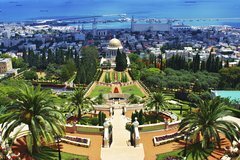 If you have an extended layover at the Haifa Airport or staying in town, why not consider getting out with some fun activities? We list a few here and there are many more on Haifa.LayoverIdeas.com. Private Ballroom and Latin Dance Lessons with Igor Mass, a world known dance teacher and judge of international championships. Free drinks are included! Journey to Nazareth and Galilee on this full-day shore excursion from Haifa Port. As you travel by minivan, visit Nazareth's Church of the Annunciation, one of Christianity's holiest sites, and explore sacred locations around the Sea of Galilee. Roam the Capernaum ruins, where Jesus may have taught; visit the church that marks the feeding of the 5,000; stop at Yarendit, the Jordan River baptismal site; and view other biblical landmarks and captivating sights. 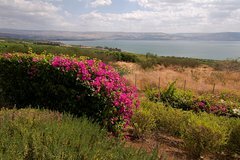 Visit Nazareth, the Sea of Galilee, Capernaum and Yarendit on a full-day private shore excursion from Haifa Port! 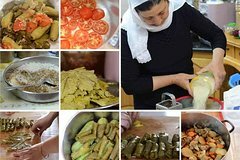 With a private guide at your side, explore Nazareth's two holy heavyweights, the Church of the Annunciation and St Joseph's Church, and then travel to the Sea of Galilee. After a photo stop at the site of the 'feeding of the 5,000' parable, stroll around the glorious fishing village of Capernaum before soaking up the tranquility at the baptismal site of Yarendit on the Jordan River. 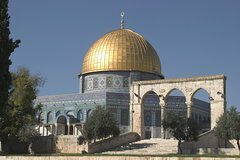 Visit two of Israel's most important holy towns – Jerusalem and Bethlehem – on a full-day shore excursion from Haifa Port! Led by a private guide, the must-do day trip includes a visit to the Mount of Olives as well as a walking tour of Jerusalem's Old City. Take in sacred sites such as the Western Wall and Via Dolorosa, and then spend the afternoon in Bethlehem, exploring Manger Square, the Milk Grotto, Church of St Catherine and more. 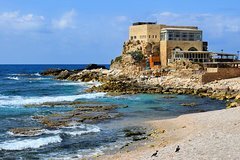 Head out of Jerusalem for the day to see some of the bucolic Israeli countryside and marvel at the site of Caesarea, an ancient spot of Roman ruins on this small-group tour. 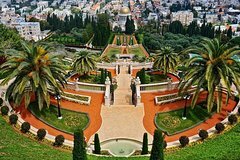 Then check out the northern town of Haifa and its amazingly verdant Bahai gardens. 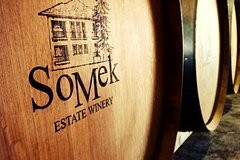 Continue to Acre to stroll along the local market and port and visit the underground Crusader's City ; Proceed to Rosh Hanikra , taking the cable car into the remarkable limestone grottoes before heading back to Jerusalem. Are you a HFA Haifa Airport ground transportation or tour operator?